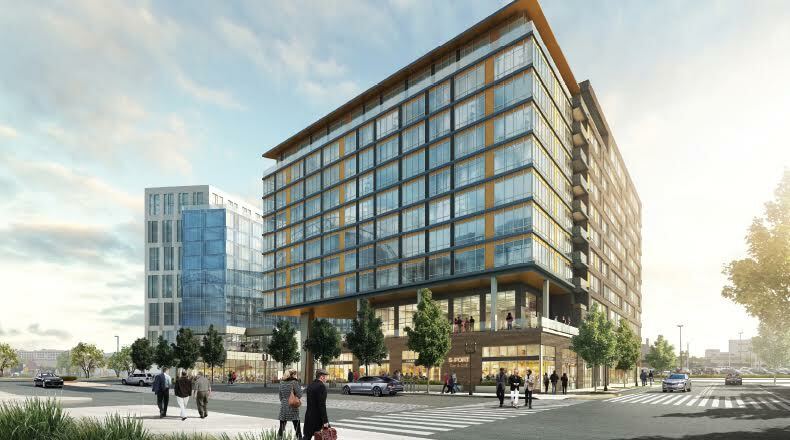 Parcel K is a 500,000 square foot mixed use project located in Boston’s Seaport District across from Liberty Wharf and the Blue Hills Bank Pavilion on Northern Avenue. The project features a 300,000 square foot luxury apartment complex containing 304 residential units, a 200,000 square foot Hyatt dual-branded hotel concept containing 294 rooms, ground floor retail, plaza level restaurants/dining and an underground parking structure. Conroy Development acted as Master Developer on this project, successfully permitting and negotiating a long term ground lease with the Massachusetts Port Authority. Once completed, Parcel K will offer a variety of complimentary uses in one of Boston’s most desirable waterfront neighborhoods. Design services provided by Arrowstreet.